Kristin Roosevelt is a Senior Advisor within the Office of Student Services. She earned her Bachelor of Science degree in Communication Studies and her Masters of Science in Education from the University of Wisconsin – La Crosse. 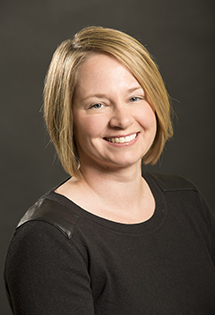 Kristin has been an Academic Advisor at UW-Milwaukee since 2005, advising in the Lubar School of Business before to coming to the School of Education in 2013. Prior to that she worked as an Admissions Counselor at UW – La Crosse and held various positions in Residential Housing programs. She currently advises prospective, new, transfer, and returning students who are interested in completing a teacher certification program. During her tenure at UW-Milwaukee, Kristin has maintained a high level of involvement in the campus community, serving as a Chair, co-chair, or a member on committees across campus. In her free time, Kristin enjoys spending time with her husband and two young children, traveling, and being active indoors and out.